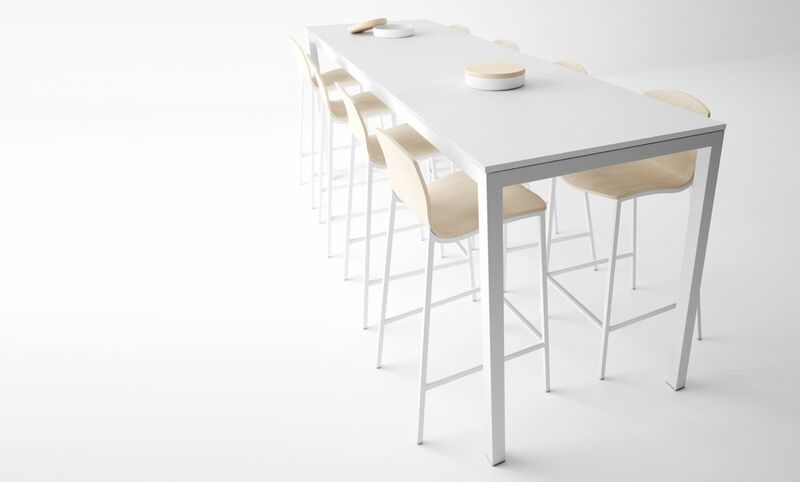 High table, which is manufactured in four standard measurements (100x60, 110x70, 120x70 and 125x80) and also custom - made up to a maximum of 240 centimetres long and 100 wide. 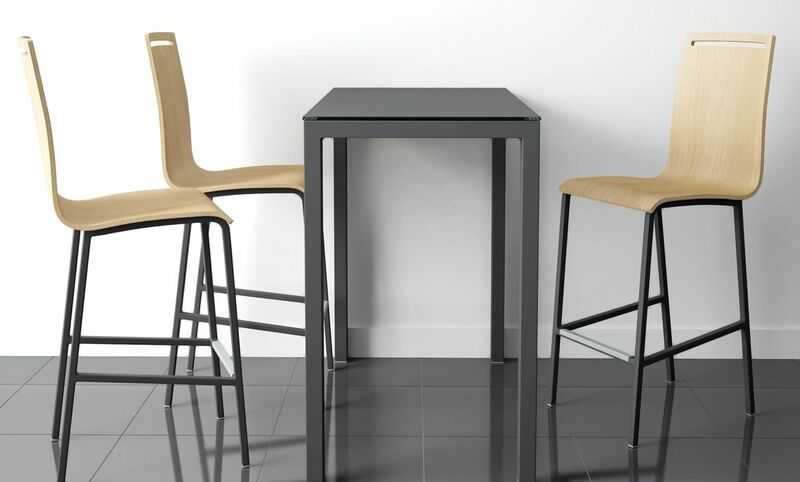 The height of the table is always 90 centimetres, the common measurement to be used by bar stools of a height of 65 cm. The worktop can be manufactured in tempered and coloured glass, laminated or porcelain, the fashionable material because of its incredible resistant features. Its structure and steel legs lacquered in epoxy make of Logic a very refined and minimalist design bar, and it can be integrated in any space of contemporary style.